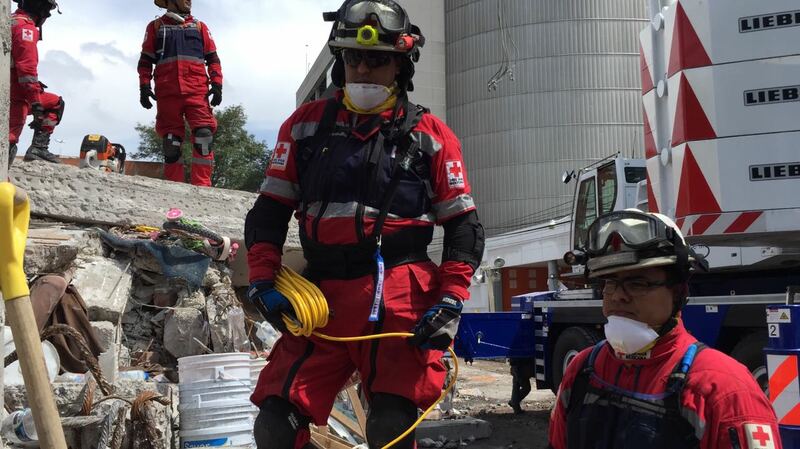 Delta will contribute $500,000 to Cruz Roja Mexicana for immediate disaster response and humanitarian relief and $500,000 to Fundación Alfredo Harp Helú to help with long-term rebuilding following last week’s 7.1 magnitude earthquake in Mexico. In addition, the Delta Care Fund has provided $100,000 in grants to partner Aeromexico employees affected by the devastation. “This earthquake has been devastating for the people of Mexico, but Delta and Aeromexico have partnered to target resources to help provide immediate assistance and to rebuild those areas hardest hit and help our people rebuild their lives,“ said Nicolas Ferri, Delta’s Vice President-Mexico and Aeromexico/Delta Joint Business. Delta customers can support relief efforts for hurricane victims by donating through Delta's Customer Microsite, created in partnership with the Red Cross. Donations will go toward immediate relief needs. These contributions are in addition to the $1 million grant to the American Red Cross as an Annual Disaster Giving Program partner, the $250,000 contribution made last week in support of Hurricane Maria relief efforts, the $1 million contribution made in response to Hurricane Irma, and the $250,000 contribution to support relief efforts for Hurricane Harvey from The Delta Air Lines Foundation. In addition, Delta made a $100,000 contribution to the International Federation of Red Cross and Red Crescent Societies (IFRC), the world's largest humanitarian network, to support relief efforts in the Caribbean following the destruction caused by Hurricane Irma. Delta also provided 10 million miles to the American Red Cross through a match of customer donations through SkyWish, the charitable arm of Delta's loyalty program SkyMiles. In addition, Delta employees and customers have contributed more than $200,000 to the American Red Cross in support of disaster response in the wake of three devastating hurricanes and the earthquake in Mexico. The American Red Cross is Delta's longest-standing non-profit partner, and the partnership has allowed the airline, its customers and employees to help people in need for more than 76 years. Delta is the largest corporate blood donor in the Southeast and No. 2 nationwide. Delta and Aeromexico are partners of Cruz Roja Mexicana.